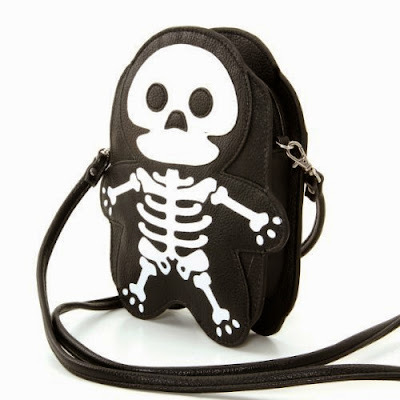 Skeleton shoulder bag, by Sleepyville Critters. 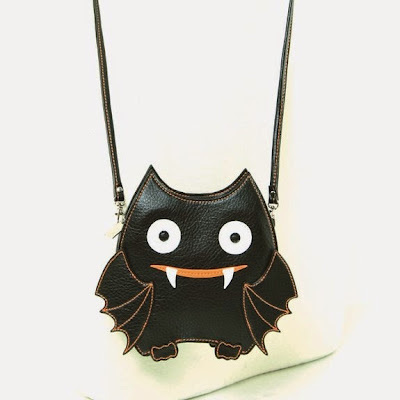 This bat cross body bag is perfect for wearing to your favorite goth club. You can dance while wearing it, and it's just big enough to hold your necessities. 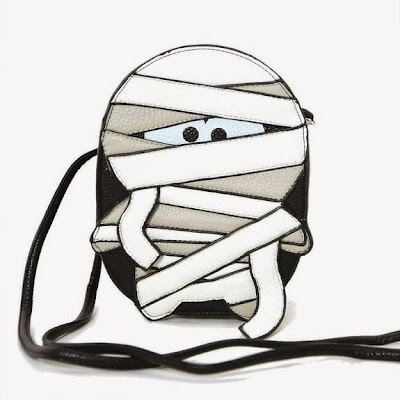 This Halloween mummy shoulder bag is from WonderMolly. 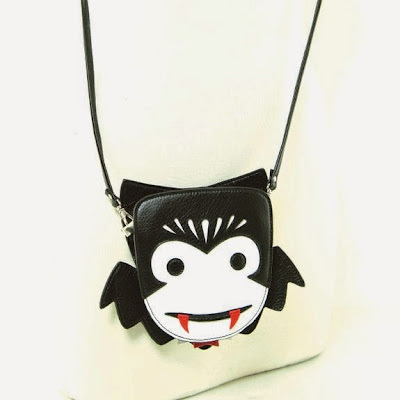 This one's my favorite - the Dracula vampire crossbody bag from Sleepyville Critters.